Neighborhoods are awesome. Every one has its own character, hangouts and hidden gems. Sunnyslope Village in Phoenix, Arizona is no different, and when the Sunnyslope Village Alliance wanted to make sure the world knows how cool they are, they got in touch with Javelina to help them reach their neighborhood peeps. Javelina combined both online and offline approaches to build the brand awareness of the Sunnyslope Village Alliance. With a mix of fresh and creative digital and traditional marketing strategies, they helped us to expand our reach and impact almost immediately, and our brand has continued to grow with the changes they made. When leveraging your brand to meet your goals, make sure Javelina is a part of your team. DEFINE THE GOAL: Who can know how cool you are if you don’t tell anyone? The name of the game here was a deliberate communications strategy – in both social and traditional media. IDENTIFY THE TARGET AUDIENCE: We knew we wanted to reach businesses in the Sunnyslope area – from the long-time establishments to the newer kids in town. So we set to work by identifying who these individuals were and what they were looking for from their neighborhood. DEVELOP THE STORY: Audiences engage with you when they see value in what you have to offer. 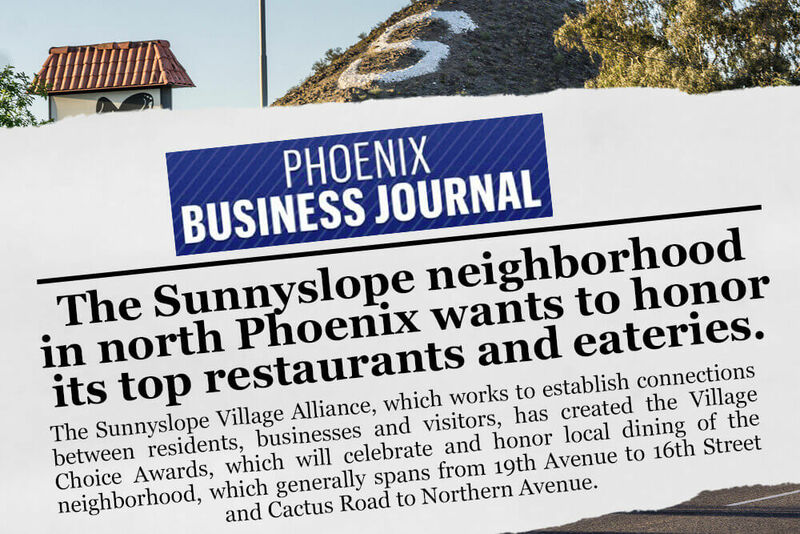 Our development of SVA’s story focused on the value they bring to their member organizations: connecting Sunnyslope businesses so they can support one another, bonded together by their mutual love for their awesomely cool ‘hood. LAUNCH A MEANINGFUL ENGAGEMENT: Question: What brings new people to the table faster than a friendly online competition? Answer: Nothing! 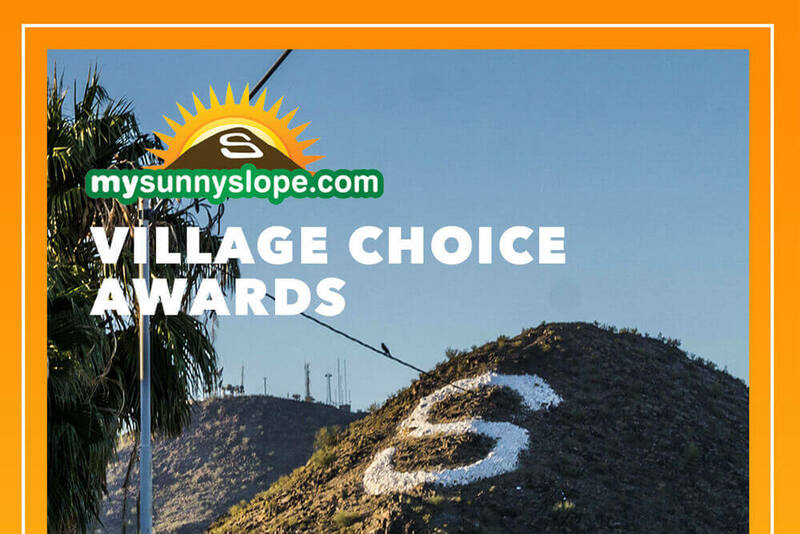 Enter The Sunnyslope Village Choice Awards, a social media contest to find the best hangouts in Sunnyslope, including Best Happy Hour Spot and Best Bar. Result: new people flocked to our social media sites. MEASURE RESULTS: In the 8-week timeline, we exceeded every goal. We secured a great news story in the state’s leading business publication, increased the organization’s digital marketing footprint by over 25%, and revitalized the organization’s email communication, securing an open rate 5% higher than industry standard.